Prior to launching Affordable Business Solutions, Srikant S. Rao was the Country Manager, India for BEA Systems, Inc. – a multi-national company with sales revenues of over US$1 Billion. Srikant Rao was responsible for the Indian operations of BEA Systems, Inc. Srikant launched BEA Systems in India and established its business operations in India. Srikant is an alumnus of the Indian Institute of Technology, Mumbai and the Indian Institute of Management, Calcutta and has played an active part in the Alumni activities of both these institutions. He has the privilege of receiving the Distinguished Service Award from IIT Bombay for his contributions to the Village Knowledge Center project. Kini, in his professional career spanning over 27 years, has handled various finance positions in companies ranging from Agro, Manufacturing, Telecom, BFSI and Software. As an early user of Information Technology[NV3] , starting from his first job, Kini has always been keen on helping organizations leverage Information Technology to enhance productivity and provide accurate reporting. 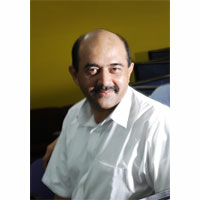 Prior to starting ABS, Kini was the CFO at a software company in Bangalore, Controller and a Member on the Board at NCR Corporation India Pvt Ltd., Head of Finance at ANZ Information Technologies Limited (formerly Index Computing), and has worked at C-DOT (Centre for Development of Telematics), as the Finance Executive. Hari is responsible for operations and also spearheads the Industry Vertical Solutions for Agro Industry. Hari started his career with the TVS group handling Project Management and Materials Management functions at Sundaram-Clayton. He then moved on to Sanmar Group handling the procurement function for its subsidiaries. He also worked with SAP consulting and implementation at the JK Group as well as on the support team at Solectron, prior to joining ABS. Giridhar is responsible for Delivery at ABS. 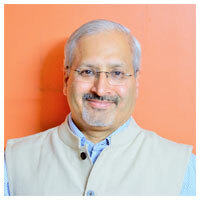 Prior to joining ABS, he co-founded New-Age Bizsoft Solutions Private Limited, Bangalore. During the course of his career, Giridhar has participated in the review of Unilever’s South European operations, where he gain extensive experience and insight into SMEs and their end customers. As a lead consultant for Anderson and BoozAllen and Hamilton, Giridhar consulted with leading companies in India and Europe in the areas of strategy, operations and management. 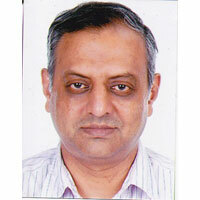 Giridhar holds a degree in Science and an MBA from INSEAD France. He is a Fellow Member of the Chartered Institute of Management Accountants (CIMA) and Chartered Association of Certified Accountants (ACCA), UK. 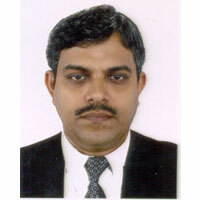 Giridhar is a Director of INSEAD Alumni Association - India and a member of The Indus Entrepreneurs (TIE). Sridhar Ramachandran works as an independent contributor (as against independent consultant) in the practices of human resources and information technology bringing to bear global best practices and technology architecture and solutions to small and medium enterprises helping align their business agenda with their investments, and investments to deliver outcomes. He has taken the contributor role, as against the consultant role, to align his experiences, expertise with the business and allow it to absorb, implement and manage outcomes. Prior to this foray, he served in various capacities in the IT industry- TIER 1 banks, capital market firms, delivering enterprise solutions to customers worldwide. His last engagement in the corporate world was with Oracle in their financial business unit as Vice President of their services revenue line. In this role he was accountable for the business growth. He had to done many a hats and was the business sponsor for Quality Assurance, HR, Finance & accounts, Technology Management, Business Operations, Legal and Contracts, etc. 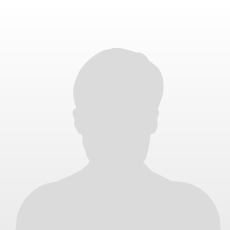 In the prior past, he had worked with Ampersand as Vice President; worked with ANZ Bank in the IT division in India, New Zealand and Australia; and in Mumbai and Vadodara, with Philips and Ambalal Sarabhai, respectively, working on technology function.